Did you know that oil is the dirtiest burning fuel? If you have an oil-fired furnace, not only should you have your furnace inspected every year, you also need to have the chimney inspected and cleaned annually, because oil’s by-products of combustion can be very volatile and corrosive. And neglecting to clean your oil furnace can lead to significant deaths, injuries and property losses. 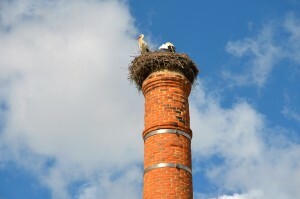 Spring or summer is the best time to have your oil chimney cleaned. During the winter, your oil-fired furnace can run for long cycles, which can produce soot that may adhere to the sides of your chimney. Eventually, this soot may fall to the base of your chimney or on top of your oil furnace. This soot can buildup and restrict the flow of flue gases such as nitrogen, carbon dioxide and water vapor. Over time, carbon monoxide (a tasteless, odorless, poisonous gas) can build up in your home with this soot buildup if your furnace is not properly vented or your chimney isn’t properly swept. Additionally, soot is made up of carbon and sulphur. When this sulphur mixes with rain water or moisture from the flue gases that is absorbed into the clay flue tiles, these tiles will eventually start to deteriorate in a process called flaking or spalling. Sulfuric acid can also corrode metal chimney linings, too. Small pinholes can form in the liner compromising its integrity. In both clay and metal liners, this deterioration can lead to potential fire and health hazards. Therefore, the National Fire Protection Association 211 codes state that “chimneys must be inspected and cleaned annually as necessary by a certified chimney sweep” like those from T.J.’s Chimney Service. Many people think that their furnace service technician will inspect and clean the chimney – but this is a misconception! The tech may shovel out the base of the chimney and brush the connector pipes, but the tech will not clean the chimney. 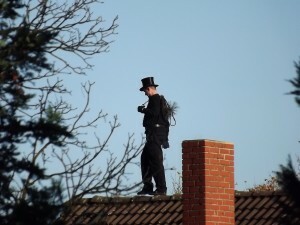 The professional chimney sweeps at T.J.’s Chimney Service will inspect the entire chimney – the interior and the exterior – as well as clean the chimney. So take care of your oil furnace flue this summer before the cold air returns this fall by calling 317-455-5310 to schedule your flue inspection and cleaning today. Our technicians can detect and correct any potential problems to ensure your chimney’s safe and efficient operation. It is summertime and you know what that means – it is thunderstorm season again. Every year, we experience about 100,000 thunderstorms in the U.S, according to the National Weather Service (NWS). And about 10% of these storms are severe. While thunderstorms can happen at any hour, they’re more likely during the afternoon and evening hours. All thunderstorms have lightning – since you can’t have thunder without the lightning first. And lightning can strike anywhere there is a thunderstorm. 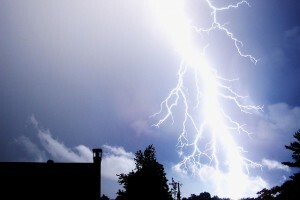 In the U.S., we have about 25 million lightning strikes a year. Take out huge chucks of bricks or stonework from your chimney. Scatter bricks or stones across your roof and/or on the ground. Crack and damage your chimney lining. Cause your chimney to collapse. When metal chimneys are struck by lightning, they can warp, buckle or become detached. Additionally, you can have massive internal damage to your chimney and not have any visible damage from the exterior. If lightning strikes your chimney, you need to call the experienced chimney professionals at T.J.’s Chimney Service, located in Greenfield, IN. 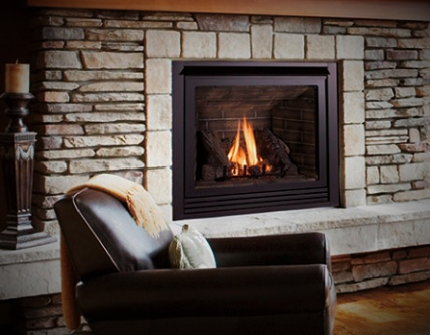 They can evaluate your chimney and make recommendations on repair and replacement. They also offer a full range of repairs to chimney systems – big or small, including masonry repair, flue relining, replacement of damaged chase tops, rebuilding of cracked chimney crowns and completely reconstructing the chimney. If you need a chimney professional to assess your chimney damage and make repairs, call us today at 317-455-5310. Now that it’s May, the weather is finally warming up – which is a good thing if you don’t like snow and ice. But spring typically brings rain. While the roof and walls of your home protect you from rain, snow and ice, your chimney is constantly exposed to the weather. And moisture of any kind can damage your masonry chimney. Your masonry chimney is constructed using a various masonry and metal materials, like brick, mortar, clay tile, steel and cast iron. Prolonged contact with water can cause these materials to deteriorate. For example, brick and mortar absorb water like a sponge. 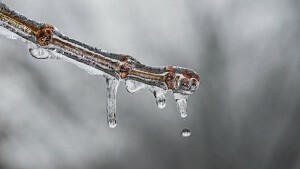 During the winter, the water freezes and expands. Cracks can form, deteriorating the mortar. Once the mortar cracks or breaks off, water can seep behind the bricks, causing structural damage to the chimney. Even in heavy rains, the brick and mortar can only hold so much water, which can leak into your firebox or even your home. If you notice any of these signs of water damage, contact the chimney professionals at T.J.’s Chimney Service, located in Greenfield, Ind. Even if you just suspect water damage, you need to take care of the problem before it gets worse – costing you more money, and, possibly, placing your family in danger. The professionals at T.J.’s Chimney Service can search for and find the source of the water damage and make recommendations for any chimney repairs. Call us today at 317-455-5310 to schedule your inspection! Spring has finally arrived in Indiana. The temps are getting warmer. The grass is getting greener. The daffodils are blooming. And the trees have buds on them and are bursting into flowers. But with the arrival of spring also comes seasonal allergies, causing your nose to run and your eyes to water. But here are some tips to help you manage your seasonal allergies instead of suffering through them. Educate yourself about over-the-counter (OTC) medications. Oral OTC antihistamines and nasal sprays and inhalants can be effective in managing seasonal allergy symptoms. Talk to your doctor for recommendations. If your allergy symptoms aren’t controlled, try switching OTC medication brands. Note: Decongestants don’t work as well with allergies since they’re designed for short-term use – seven days or less. Also long-term use of short-term nasal decongestants can lead to rebound nasal congestion. See an allergist if OTC medications don’t work. An allergist can help you find out what exactly you’re allergic to and make a treatment recommendation. Take your medication early in the day. In order for your medication to work, it needs to be in your system before you head outside. Wear a protective allergy face mask when you’re working outside. For mild allergies, a simple disposable paper mask may work. Or, if you have more severe symptoms, use a respirator mask with a high-efficiency particulate air (HEPA) filter. Watch pollen counts. If the pollen counts are high or it’s windy outside, plan to stay indoors as much as possible. Reduce the allergens circulating throughout your home. Outdoor allergens can get inside, no matter what you do. Use a high-efficiency furnace filter (MERV 11 or 12). Install a HEPA air purifier in your home. Contact T.J.’s Chimney Service in Greenfield, Ind., to have your air ducts professionally cleaned. Air duct cleaning removes dust, dirt, pollens, and pet hair and dander found inside your home’s duct system, so less of these allergy-aggravating particles will circulate throughout the air in your home. Call T.J.’s Chimney Service today at 317-455-5310 to schedule your air duct cleaning appointment. When Should You Repair or Replace Your Chimney Cap? When was the last time you or a professional chimney sweep – like those at T. J.’s Chimney Service – inspected the chimney cap covering your chimney or flue? Last year? A few years ago? Never? A chimney cap is the rectangular or round device that fits onto the top of your chimney or flue. Chimney caps have a flat, rounded or peaked roof on top and mesh screens around the sides. They can be made of stainless steel, galvanized steel, copper or aluminum. 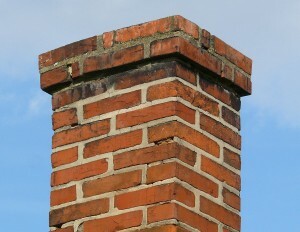 Depending upon the style of the chimney cap you have installed and the material it’s made from, chimney caps can last from a few years to a lifetime. Your chimney cap has blown off or loosened during a storm or strong winds. 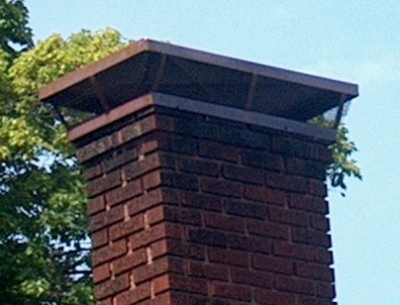 The top of your chimney cap is warped and is pulling away from the sides. The chimney cap or mesh screen is heavily rusted. There are holes in the screens or the screens are separating from the rest of the cap, enabling birds and animals to get in. Creosote has built up on the screens. The turbines on a draft-enhancing chimney cap are clogged or have stopped turning. You’ve had a chimney fire that’s warped and damaged the chimney cap. Water is leaking in around your flue. Debris has gotten in and clogged your flue. If any of these conditions exist, the professionals at T. J.’s Chimney Service, located in Greenfield, Ind., can inspect your chimney cap and flue and evaluate the situation. They can give you a recommendation on whether your chimney cap can be repaired or if it needs to be replaced. However, don’t worry. Our professionals can offer options based on your needs and budget. New chimney caps range in price from around $40 to over $100, depending upon the style and cap construction materials. Aluminum and galvanized steel chimney caps are usually less expensive than stainless steel or copper caps. However, stainless steel chimney caps are more durable and often come with a lifetime warranty. But, don’t wait too long to take action if you’re experiencing any of the chimney cap problems above. A damaged chimney cap makes your chimney vulnerable to water damage which can lead to crumbling mortar in your chimney walls or rusted metal components inside your chimney. Contact the chimney cap experts at T. J.’s Chimney Service today to schedule your chimney cap inspection.